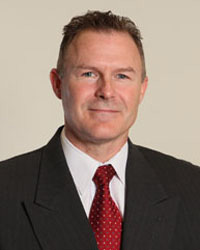 Attorney O'Leary is a partner with the law firm of Shaheen Guerrera & O'Leary, LLC with offices located in North Andover, Massachusetts and Manchester, New Hampshire. B.A. from Gettysburg College Juris Doctorate degree from Massachusetts School of Law, 1996 While litigation historically served as the societal means for resolving legal disputes, we are now in a new era. The court system is overburdened and underfunded. Cases are back logged and courts are understaffed. More importantly, most individuals feel that their family or their business suffer both financially and emotionally while lawyers continue to litigate in a court system that does not have the ability or time to dedicate countless hours toward hearing your legal conflict. Collaborative law is a process for you and your spouse or the party with whom you are in conflict with to address your legal dispute in a private manner at a pace that is acceptable to both participants of the process. The collaborative law process can serve as the means for participants engaged in family law matters, whether simple or complex, to address their issues in a truly dignified, safe and responsible way. For the business owner, this process can open up doors for creative ways to resolve your conflict and can, if desired and if important to the participants, explore ways to preserve their relationship thereafter in a fast paced business environment. Attorney O'Leary specializes in domestic relations, business law and construction law with a strong emphasis on collaborative practice and mediation.